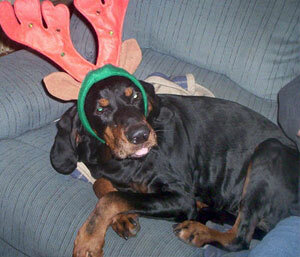 With those big, floppy ears, brown eyes, and friendly face, it's hard to resist the Black and Tan Coonhound. 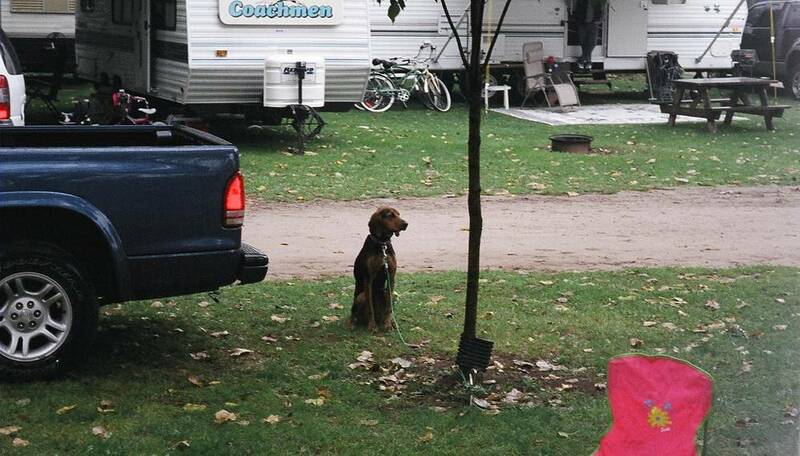 This medium-sized, powerful dog was bred to hunt. They have a strong, agile body that serves them well when roughing it on hunting trips or on hiking trails. 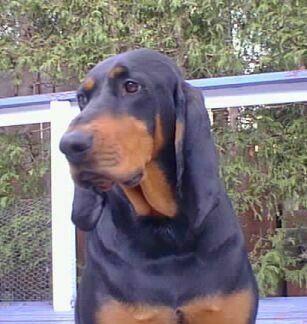 Black and Tan Coonhounds have a long, muscular neck that slopes into a strong, level back, a deep chest, and ribs that spring out. Top this off with a tail that can stand at 90-degree angle when the dog is in action, and you get a very athletic-looking dog! It's not just looks, though. Their powerful shoulders, straight forelegs, muscular hindquarters, and sinewy hind legs come together to make the Black and Tan a great running buddy! 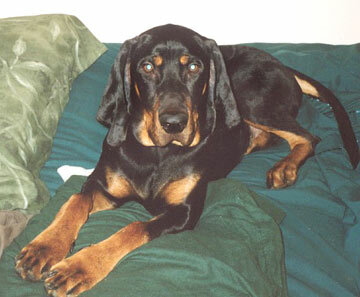 As implied by the name, the Black and Tan Coonhound is a spiffy-looking breed with a dense coat of short black hair with tan markings over the eyes, sides of the muzzle, chest, and legs. Combined with floppy jowls that have a special talent for drooling, these dogs look like they could be quite a handful — but this loyal breed won't disappoint someone looking for an active best friend. 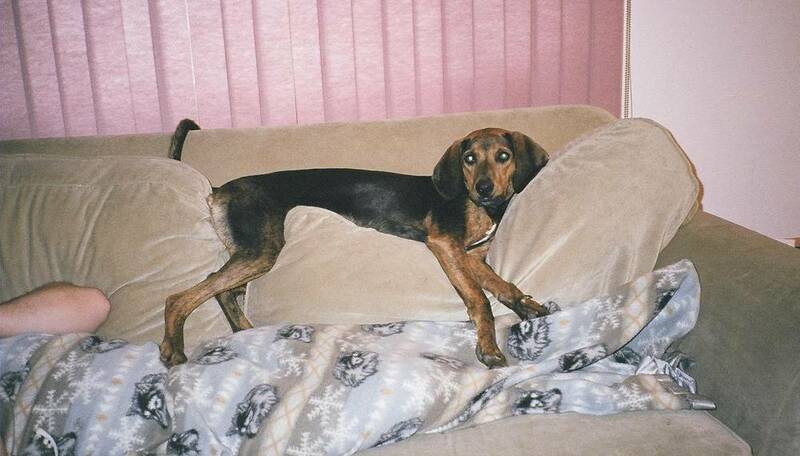 Height (Male) 25 - 27"
Common Misspellings Black and Tan Coonhownd, Black and Tan Koonhound, or Blak and or Coonhound. Since they can be willful, firm and ongoing training is necessary and so is a strong leash! Hounds will be hounds, so if a Black and Tan catches the scent of something they want to chase, it will be difficult to keep them in check. Socializing Black and Tan puppies and teaching them not to wander will go a long way toward keeping them at home, but a sturdy fence is still recommended. These dogs love company and generally play nice with other dogs but if theyre left alone for too long, neighbors will be serenaded by baying and howling. 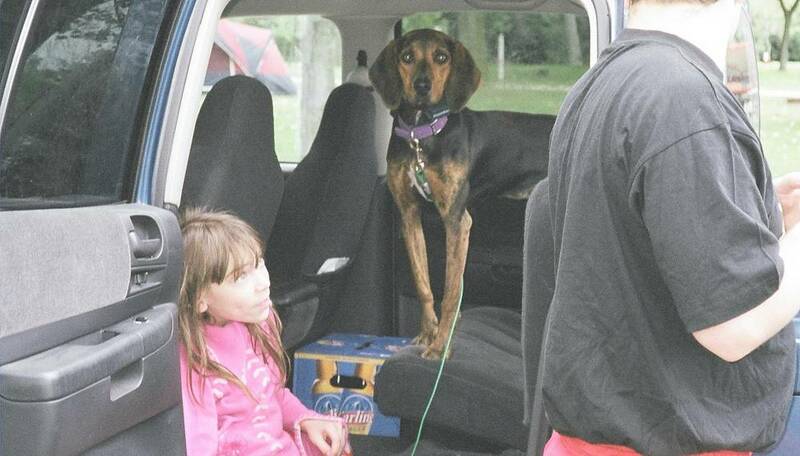 Loyal to a fault, Black and Tan Coonhounds may be wary of strangers. While they are rarely aggressive, they do like to play rough, making them more suited for families with older children. 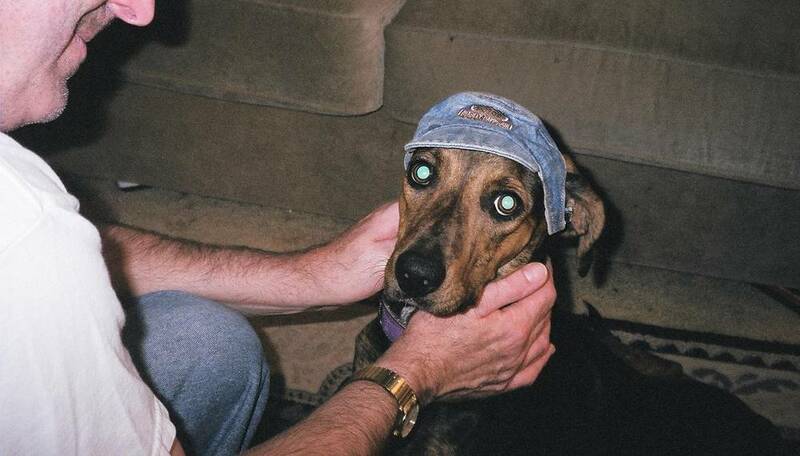 As you can expect from an athletic dog bred for the hunt, the Black and Tan Coonhound needs plenty of living space, so an apartment or small house is a no-go unless you're really into ruined furniture. They also need daily, vigorous exercise ideally running so owners should expect to spend a lot of time outdoors. 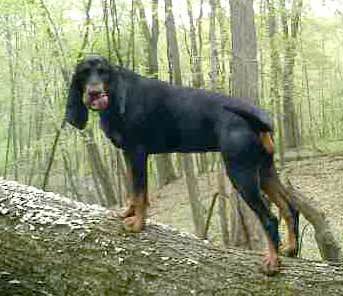 Freezing cold or sweltering heat won't even slow them down: Black and Tan Coonhound dogs have been bred to withstand a range of climates. Grooming their short coat is a breeze. A weekly brushing is enough to keep this dog looking sleek. 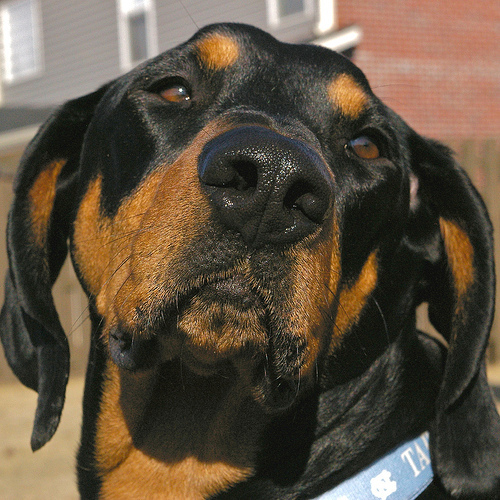 And although this is a sturdy breed, Black and Tan Coonhound owners still need to watch out for canine hip dysplasia, hypothyroidism, and ectropion. 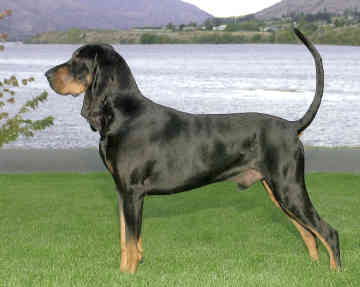 Black and Tans are believed to be descended from Bloodhounds and Talbot hounds, and the resulting progeny was occasionally bred with Virginia Foxhounds. 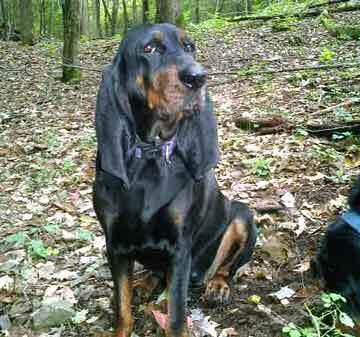 Over time, the Black and Tan became known as an exceptional tracker and hunter. This breed is even rumored to have been popular with Native American hunters and fighters in the late 18th century. Famous for being able to pick up a cold trail, the Black and Tan is primarily used to track down animals like raccoons and tree them, but they can also be trained to hunt larger prey, including bears and mountain lions. Being native to mountainous regions, these dogs have proved that not even rough terrain will slow them down while on the hunt. 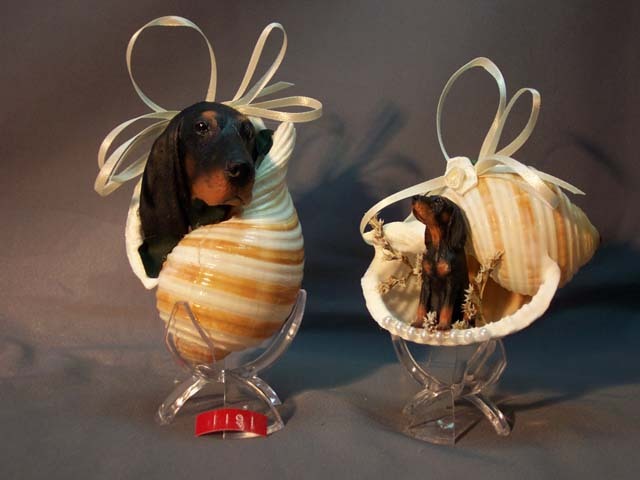 Officially recognized by the American Kennel Club in 1945, the breed standard features two varieties: field and show. 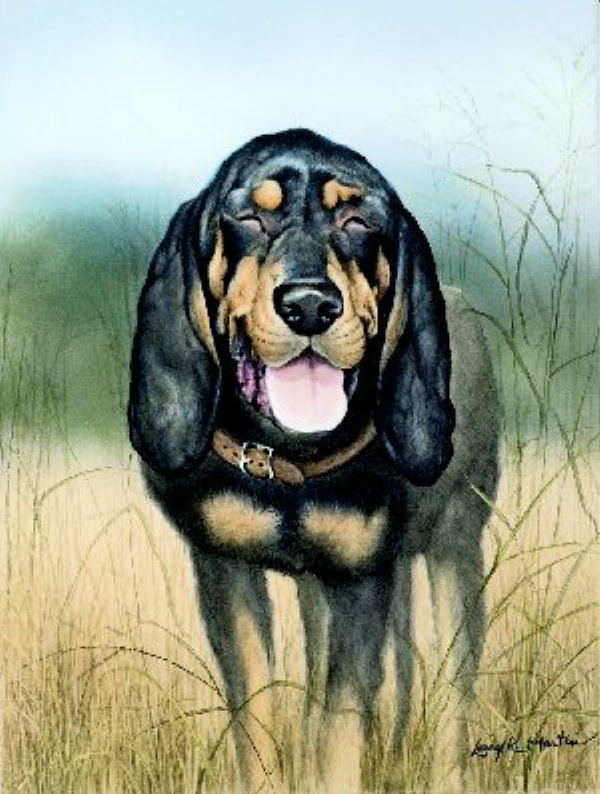 While the show variety tends to be larger and calmer than their counterparts, the field variety are the dogs still relied upon as hunting companions today.